Artwork (apparently for use in a newspaper ad) based on photo of a downtown Greyhound Bus depot, n.d. (I’m guessing ca early 1970s, judging from the appearance of fashions and of the automobiles in the image), no photographer credited. I ran across this photo at a flea market about 6 months ago. I bought it because it looked to me to be an image of the Vancouver downtown Greyhound Bus depot when it was located at the current parking lot (which is slated to be the future site of Vancouver Art Gallery) bounded by Dunsmuir (north), Georgia (south), Beatty (east), and Cambie (west); the lot which has sometimes been called “Larwill Park“, and more often, “Cambie Street Grounds”. 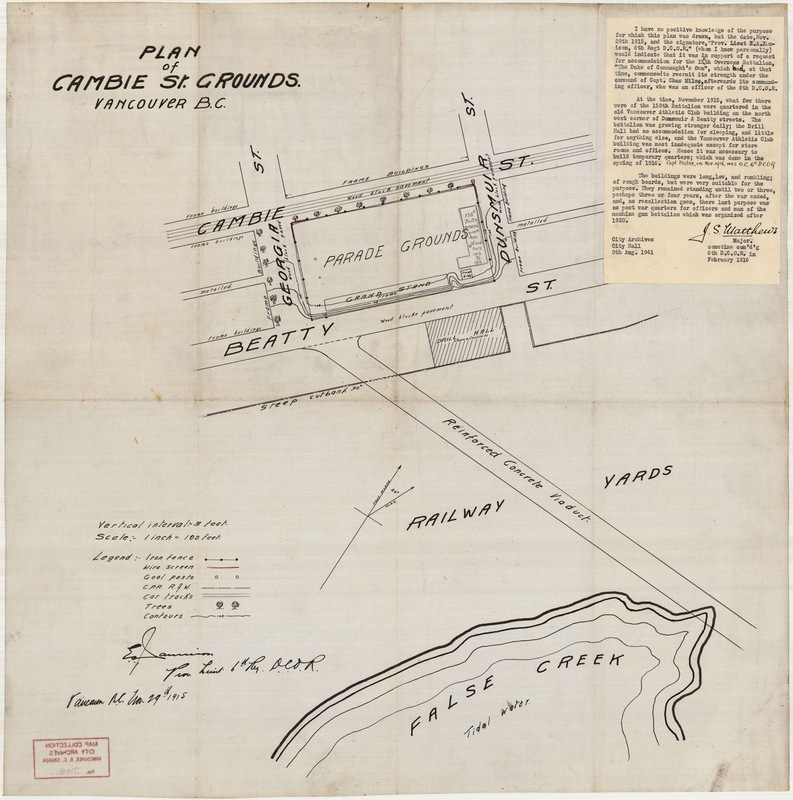 MAP 748 – Plan of Cambie St. grounds, aka Larwill Park. 1915. (Note: False Creek “tidal water” came up to a point parallel with the Beatty Street Drill Hall at the time this was drawn (and just under the first Georgia Street Viaduct). But closer inspection led me to conclude that this wasn’t Vancouver’s depot. The evidence in the photo in fact led me to believe that this was an image of Edmonton’s former depot. I had thought when I first saw the image that it was shot toward the southwest corner of Beatty and Dunsmuir. But I saw, upon examining the street signs at the corner of the image, that it was, instead, 102nd Street and 102nd Avenue. Another clue that this was an Edmonton photo was the logo on the telephone booth. Edmonton had its own municipally-owned phone company until it was swallowed by TELUS in 1995: Edmonton Telephones. (This gently amusing ad was made for EdTel made by Leonard Nimoy in 1981). The corporation had a distinctive logo which was quite different from that of BC Tel. The logo on the phone booth seems to match EdTel’s logo. There are a couple of other contextual clues that the photo is of Edmonton. First, the coffee shop of the depot seems to have been called “Mickey’s” (see window in front of street signs). There are references to Mickey’s at this Edmonton forum. Second, the reflection in the large window above the main sign on the depot suggests that that there were large office buildings on the northeast corner of Beatty and Dunsmuir at this time. But even today, there are no large office towers on that corner. The tallest building in that general direction would have been The World (aka The Sun) building; and the reflected building is plainly not The World/Sun. VPL 81572. VANCOUVER’s former Greyhound Depot. Note: It faced onto Dunsmuir near the Cambie Street corner (not, as I’d thought, on the corner of Beatty and Dunsmuir). 1951. Artray photo. Edmonton City Archives EA-10-869. The former EDMONTON Greyhound Depot. 1941. The Vancouver depot was established at the Cambie Street Grounds in the 1950s and remained there until 1992, when it was moved to the Pacific Central Station (formerly known as the CNR Station). For an excellent post on Vancouver’s Larwill Park depot site, read this. This entry was posted in Buses and tagged AB, bc, cambie street grounds, CNR station, downtown, Edmonton, Edmonton Telephones, Greyhound Bus Depot, history, larwill park, leonard nimoy, Mickey's, pacific central station, The World/Sun Tower, vancouver. Bookmark the permalink. I love your detective skills, as reading them helps me hone my own. 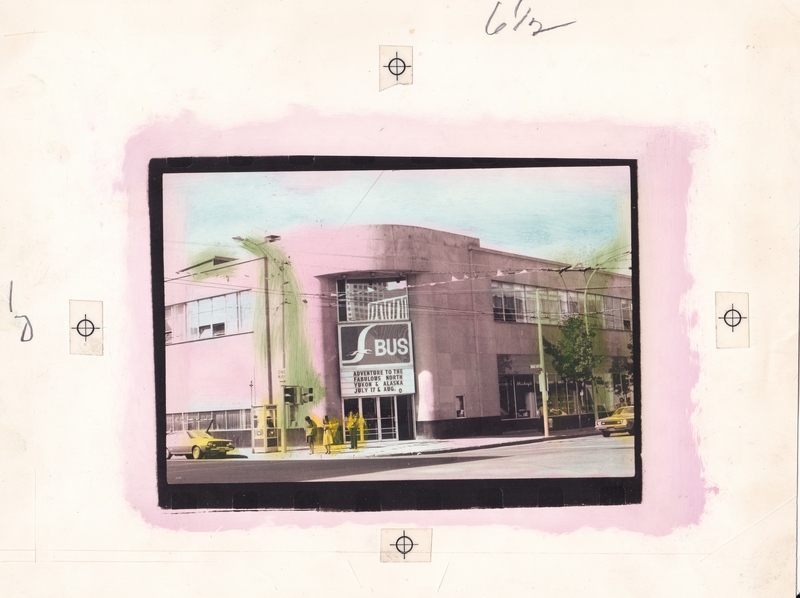 I believe the Greyhound bus depot in Vancouver was the same place my Mom would have arrived at in Feb 1955 with her best friend. Her friend was visiting her fiancee and my Mom stated that she was glad she wasn’t moving to Vancouver, as it was so cold and damp. (they were both from Oregon) Yet, the best friend of her best friend’s fiancee was her future husband; and my Dad. They were married later that year! And they’ve lived in Vancouver ever since. Thanks; I believe it’s why I love your blog so much. I love Vancouver history.